[tweetmemeonly] At The Hunting Dynasty we use all our communication chops to make our client’s sustainable products and lifestyles mainstream. Sustainable practice is already the ‘norm’ in some sectors (mostly sectors with long lead times like construction), but every sector will have to be sustainable in order to survive. While going mainstream makes sense logically, we rarely make decisions using logic alone – we’re more instinctive than that. Obama, Cameron, Marks & Spencer and B&Q are all helping to dial our instincts towards sustainable behaviour. 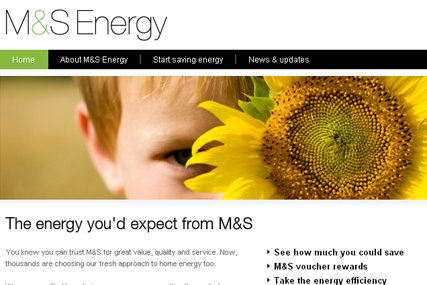 M&S will roll-out a number of new products in 2010, including bespoke energy advice, renewable energy solutions such as solar panels & heat pumps, and energy efficient heating products. But even great-er-er is their idea to prime-the-pump by offering free loft or cavity wall insulation to all its employees. If all qualifying employees take up the offer, the retailer says that it will insulate 30,000 homes for free. Sutton council in the UK has worked with the London Sustainability Exchange (which is funded through Capital Ambition, London’s Improvement and Efficiency Partnership). Many of Sutton’s most successful programmes have involved bringing together a wide range of initiatives at the softer end of the scale (“more of the carrot, and less of the stick…” they say). They call this: enabling “smarter choices”. And I think ‘smarter choices’ is a perfect description of all the examples here. While we rarely make decisions using logic alone, thankfully Obama, Cameron, Marks & Spencer and B&Q did, and in so doing are shaping a social norm that will help create sustainable behaviour. 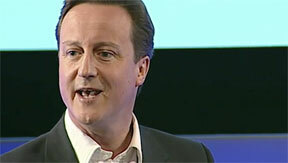 Today Obama's touting Opwer just like Cameron did at TED. "President Obama spoke at OPOWER, a small energy efficiency business based in Courthouse, just before noon today."